OK so its taken us a few weeks more than it should to report on this event but we are thrilled to at last get a few minutes to write an article for our blog on this event. 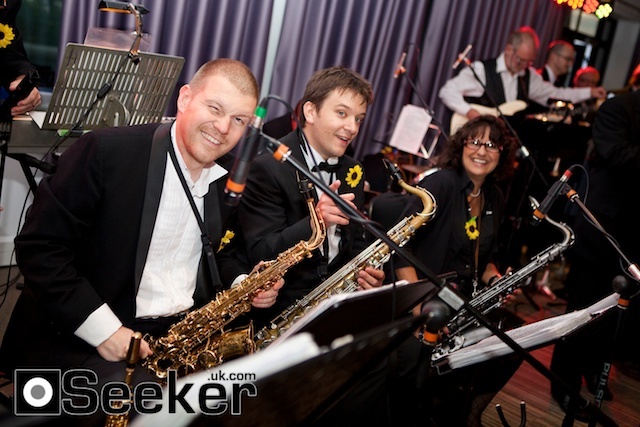 Even the appalling weather and lots of other challenges could not stop these wonderful guests having a the most amazing time a few weeks ago at the Sunflower Ball at the RNLI College, Poole. We were very pleased to be asked to come on board under our sister company brand of Simply Events, which specialises in corporate and private event planning, to help with the organising and co-ordination of this event which was hosted by Jacqui Frampton of WIBN South & South West in aid of Lewis Manning Hospice based in Poole, Dorset. We worked for a few months on this with a team of committed people who were confident from the outset that we would be able, even during these tough economic times, to get the lovely ladies of WIBN and their contacts, friends and family on board to support this cause and buy all of the tickets to make it a fantastic event. And that they did! In fact, we could have sold more tickets – we just didn’t have the room! There was a lot of love and support for the event and the committee who worked on this event worked tirelessly to get sponsorship behind the event and get support with some great auction and raffle prizes to make sure that the evening went with a real swing! 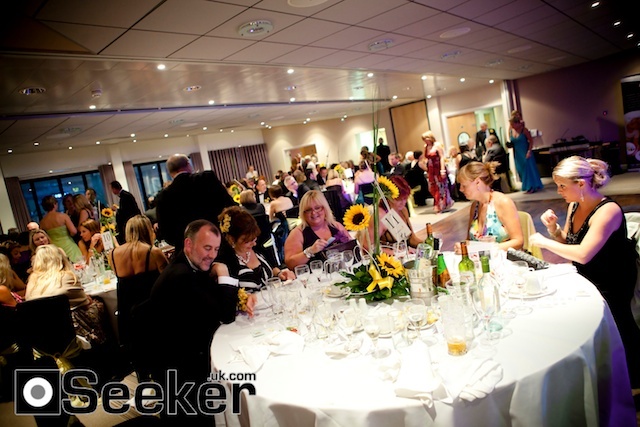 When we first looked at waterside venues in Poole and Bournemouth who could host this for up to 150 people we have to say its not easy and with Lewis Manning Hospice being a Poole based charity it was felt that a Poole based venue was needed so RNLI College ticked all the boxes. 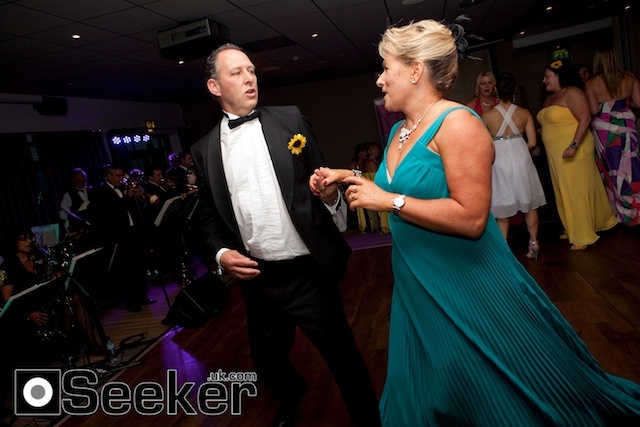 We transformed the room from a fairly blank palette with black chair covers and bright yellow organza sashes topped off with miniature sunflowers on the back of each chair to run along with the theme. 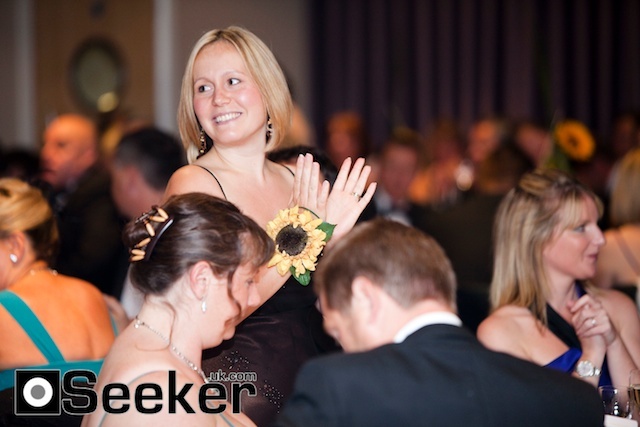 The table centres were striking fresh sunflower arrangements and it was great to see that so many of the guests added sunflowers to their outfits in one way or another – lapel or wrist corsages or sunflowers in their hair! 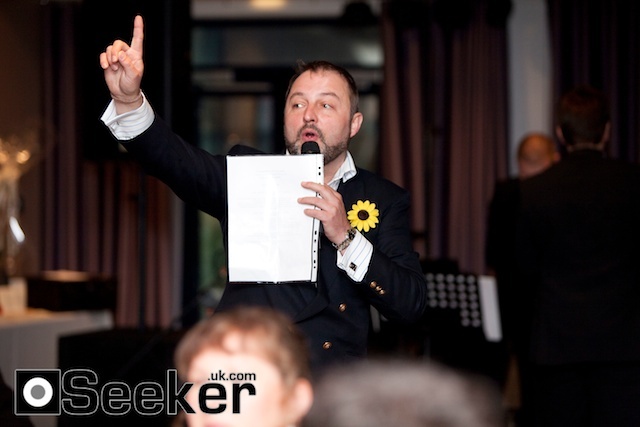 Guests were treated to a delicious three course summer menu following which Max our MC and auctioneer got straight into the business of auctioning off some amazing prizes including a golf day with a pro golfer and some rather fetching ladies handbags and accessories! 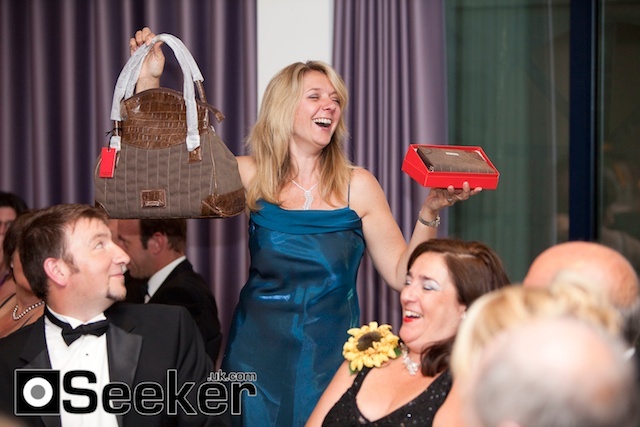 Maria from Lewis Manning “doing her bit” with the auction items – well done Maria! Following the auction we had a quick and swiftly organised raffle which went down well so that guests could move on to the most important part of the evening – the entertainment and the DANCING! Get your dancing shoes on guys and girls! 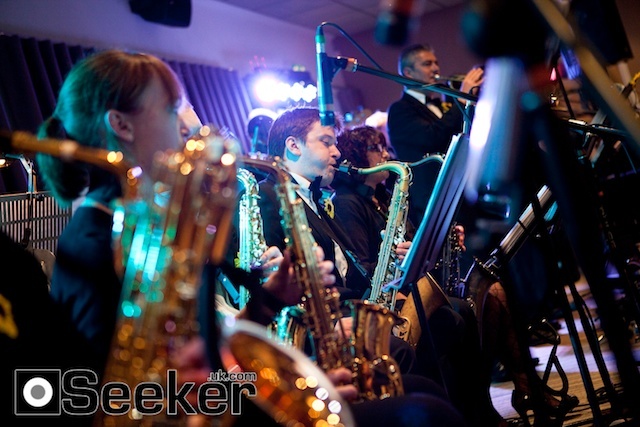 We were very lucky to have secured the most amazing swing band Swing Unlimited comprising of 18 very talented musicians and what a night of music we had – well done everyone – you had all of our guests up dancing so much so that they did not want the night to end! Do you think they might be having some fun? 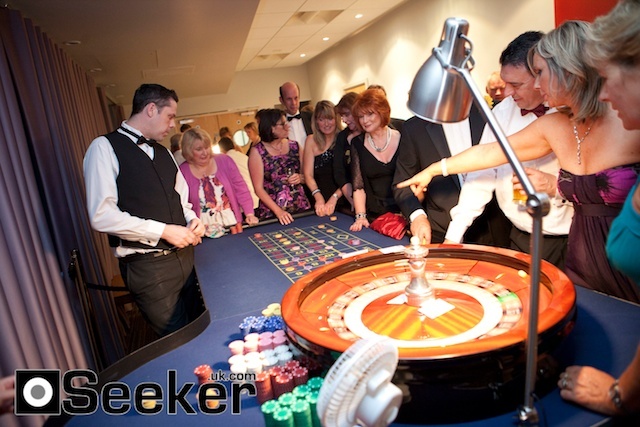 The night would not be complete without some casino fun which came courtesy of our friends at Absolute Fun Casino who did a brilliant job of getting all of the guests into the mood to win the great prizes on offer and raise more money for the charity – guests purchased fun money to join in on the casino. So, you could say that a great night was had by all and over £3,000 was raised for Lewis Manning Hospice and the guests really did not want to go home! Some guests stayed over for the night at the RNLI College and their night went on till…well the small hours you could say and then a breakfast was enjoyed in the morning to chat over the events of the night before. 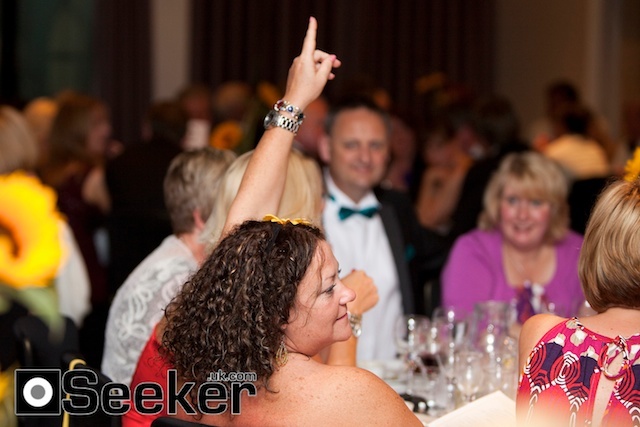 We have already had requests for another BIGGER and better event soon so watch this space! A HUGE thank you goes to all who sponsored and took part in some way and came along to support the event and helped to make it not only such a success and raise so much money but make it so much fun! 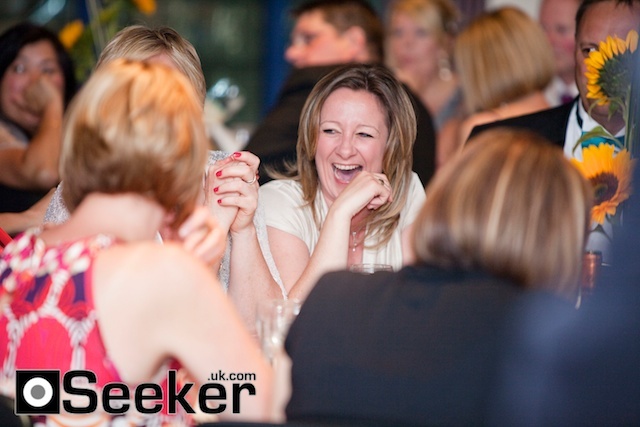 Thank you also to those lovely people over at Seeker who kindly covered the event for us and took these fabulous images and gave us permission to use them in this blog. 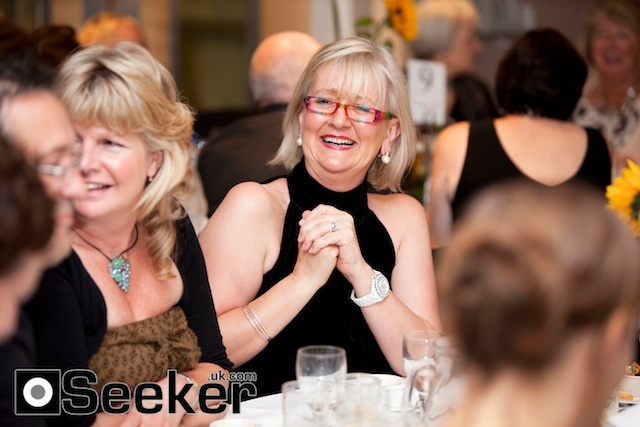 Please contact Seeker if you wish to purchase any of the images here or any other which they feature on their site from this event.